4 People Not Profit Saltburn’s premier event organisers who have been putting on gigs and film nights in Saltburn promoting social justice and human rights issues for the last 7 years have launched a new initiative The Community Network. The idea is to create a network to link up all of the left, environmental and community groups in the Teesside area to promote communication and collaborative working to get more people involved in community activism. 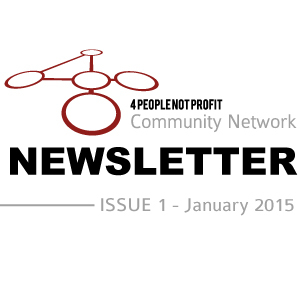 The 4 People Not Profit Community Network had its launch meeting on Tuesday the 11th of November at the Marine. Around 25 or so people attended representing a range of local activist groups including; The World Development Movement, Friends of the Earth, The People’s Assembly, Teesside Solidarity Movement, Beachwatch, Frack free Cleveland, Transition Saltburn amongst others and various other interested activists. The Community Network will comprise of a regular mailing list of all events and a regular newsletter available on the mailing list and paper copies to be distributed around the Teesside area. The Community Network will hold meetings on a bi monthly basis to promote collaborative working and to act as a social evening for different groups and individuals to get together and see what events and campaigns they can work together on. Ultimately we are looking to put on a festival at the end of next summer in Saltburn to promote community unity. Five Quarter want to use the North East as a test bed for Underground Coal Gasification an experimental method of squeezing out the remaining drops of coal. They have received licences all down the NE coast with no local consultation. It involves injecting oxygen down one well to a coal seam where it ignites a gasification process that releases Syngas which is harvested through another well. Syngas contains carbon dioxide, carbon monoxide, hydrogen and methane. Five-Quarter claim that what they are planning is Deep Gas Winning. They admit that the rocks around the gasification chamber will fracture. 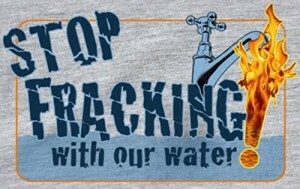 This means they are fracking as well as gasifying. 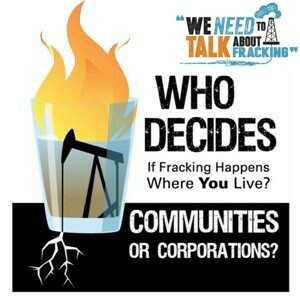 In tests run in Australia UCG wells were found to leak the same substances to groundwater as can be released by fracking. There are dangers of blowbacks and explosions. If these accidents happen offshore they will be very difficult to clean up. This could result in massive pollution to the North East coastline. Many tests have failed. It has never been used on a commercial basis. The gas produced is Syngas or coal gas. It is a mixture of methane (natural gas), carbon monoxide, carbon dioxide and hydrogen. Carbon dioxide is a problem due to climate change. They plan to pump it back into the hole they have made using Carbon Capture and Storage (CCS). This is another process that has not been fully tested. Surely it would be better to use renewable and not produce the CO2 in the first place. There I was, having a meal with a group of people a little younger than me, and from a very different world to me… from affluent families and with public school backgrounds. We got chatting about how we all celebrated our 21st birthdays. I heard stories that were out of this world, birthdays more lavish than a Hello Magazine wedding. We’re talking yachts, old country manors, exclusive London nightclubs and restaurants. We’re talking huge amounts of alcohol and some very bad behaviour. I guess it didn’t totally surprise me, I’ve watched Made in Chelsea, I understand that there’s another world that exists in Britain, a world of decadence and of excess, of opulence and of greed. And yet something really disturbed me and still does about the stories I heard that night: it was the complete ignorance of the other world that exists in Britain, the world of hurt and pain, of poverty and abuse, of hunger and going without. With no money, no family & no friends she had turned back to the only thing she knew. Prostitution! That’s how this young girl spent her 21st birthday. We all know that true equality exists only in Utopia, that it would be impossible to create a fully levelled world where everyone has the same opportunities, the same life chances or the same hopes, dreams or even birthday celebrations. 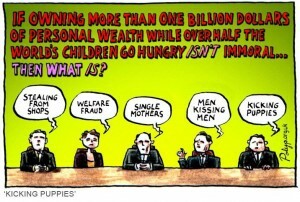 But that doesn’t mean that we should just accept the extreme examples of inequality that exist all across the UK. It’s unjust that in one of the worlds richest economies where our bankers don’t get out of bed for less than £10,000 a day; that children are going hungry, or being exploited as slaves or prostitutes. It’s fundamentally unfair that the chairman of a premier league football club should receive multimillion pound bonuses whilst he traps his staff in poverty on zero hours contracts. It’s not an okay world where one girl plans what type of champagne she will give away for her 21st birthday while another plans what Street she will sell her body on. On the back of every Labour Party membership card it defines our values as “working together to create a community where power, wealth and opportunity are in the hands of the many not the few”. 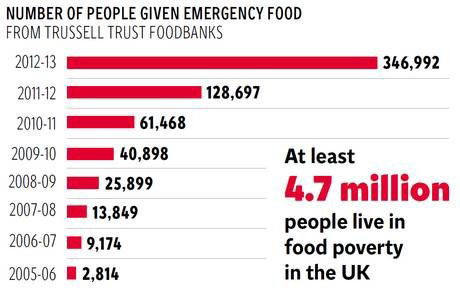 Britain ought not ever call itself ‘Great’ whilst these levels of inequality remain. ReLabour wants to expose these inequalities, generate a conversation about Labour’s historic mandate to tackle these issues. If you think that tackling inequality is at the heart of what it means to be Labour drop us a tweet @ReLabour and join in the conversation. New provision initiatives are popping up as partial answers to the social and economic crisis facing us. Set against a backdrop of the welfare state being taken apart and the most vulnerable in society treated to ritualised humiliation, new answers going beyond charity are being discussed. Starting in County Durham a number of trades unions have looked to provide free clothing for individuals and families in need and unable to afford basic items. Durham Miners Association, Unite Community alongside a local branch of GMB and other individual activists have been behind the formation of Co. Durham Socialist Clothing Store which has emerged to meet this need. 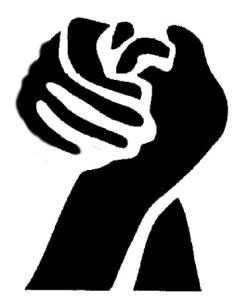 Operating presently in two areas of County Durham, the new project is organised on principles of solidarity as opposed charity and opposes notions of ‘deserving’ and ‘undeserving poor’. Notwithstanding it’s non-charity emphasis, the projects work closely with local foodbank provision. The project handles its work sensitively and attempts to combine a basic advice/guidance approach to communities in distress with campaigning work against poverty in general. A number of activists from Teesside Solidarity Movement are presently working towards establishing a locally based project set up with similar ethos and principles. It hopes to dovetail this basic provision work with campaigning against poverty and deprivation.